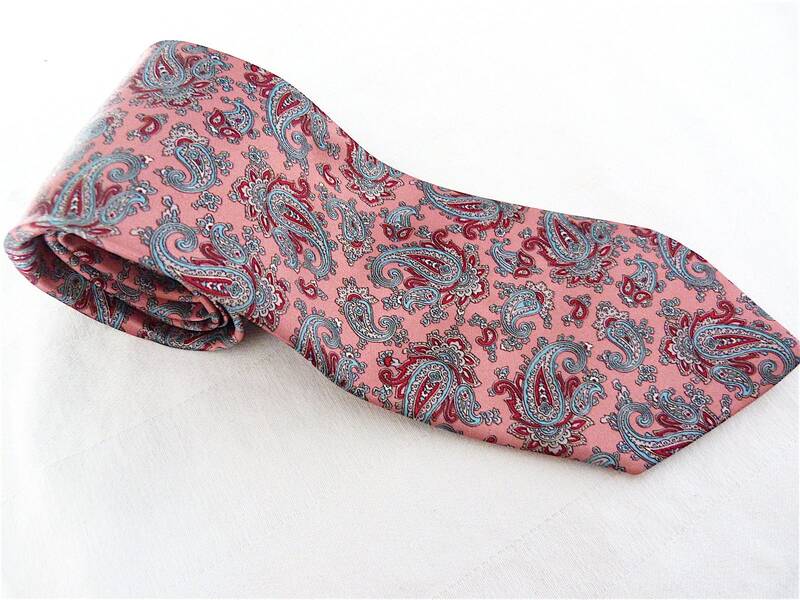 Gorgeous thin, soft and silky polyester tie. 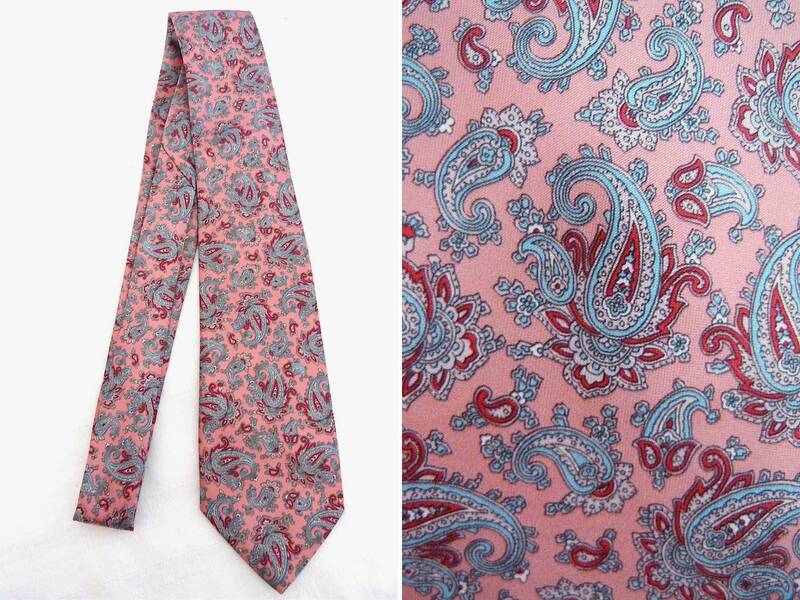 Beautiful pink fabric with a timeless paisley print in tones of grey, red and blue. Elegant long and thin shape. 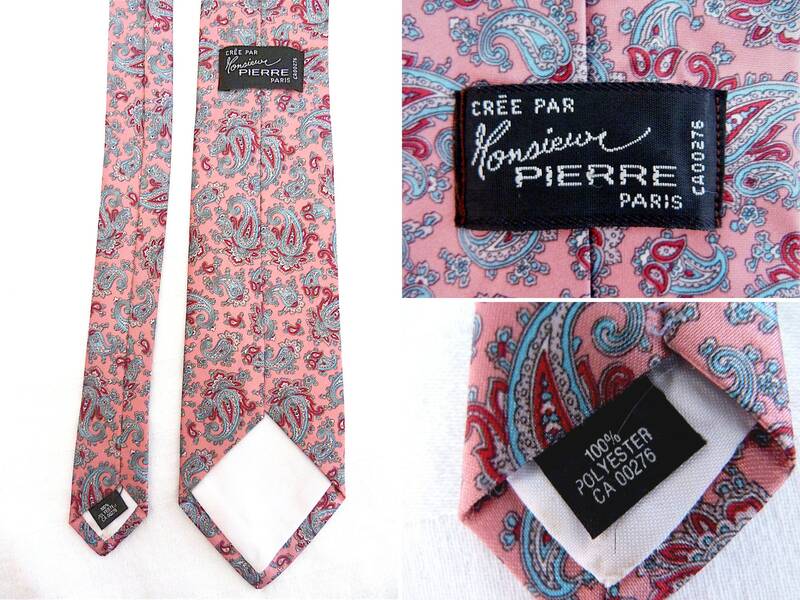 Monsieur Pierre label ties are always stylish and of very beautiful quality, and this one is not lacking.